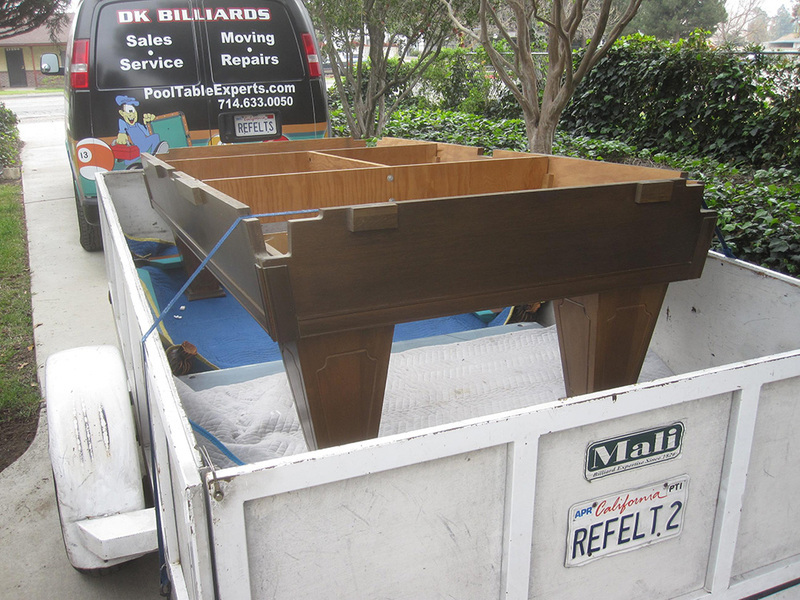 This is a pool table move we did last week for our client in Rancho Cucamonga, CA. 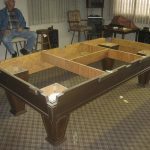 Our client’s grandfather, who lived in Fontana, CA had this nine foot Brunswick “Heirloom” setup in a guest house, that was converted to a billiard room. 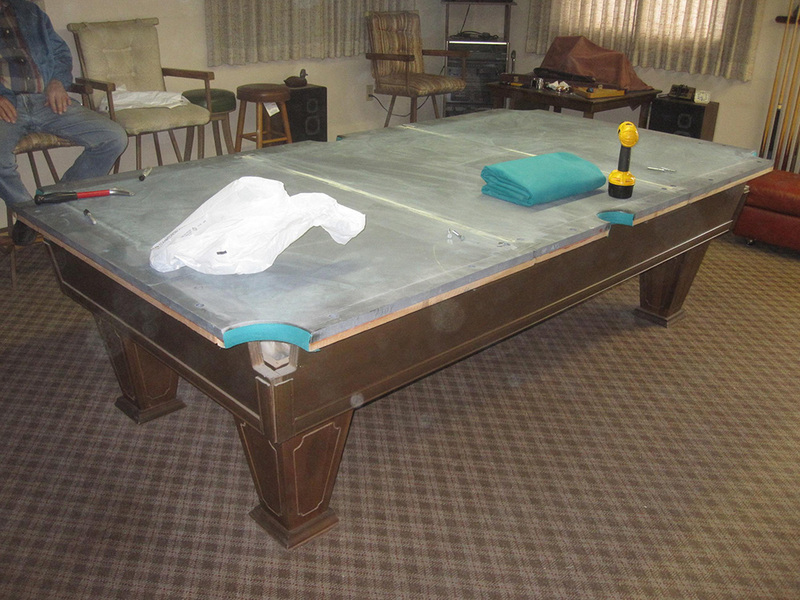 Our client had always played on Grandpa’s pool table throughout his teen-age years. 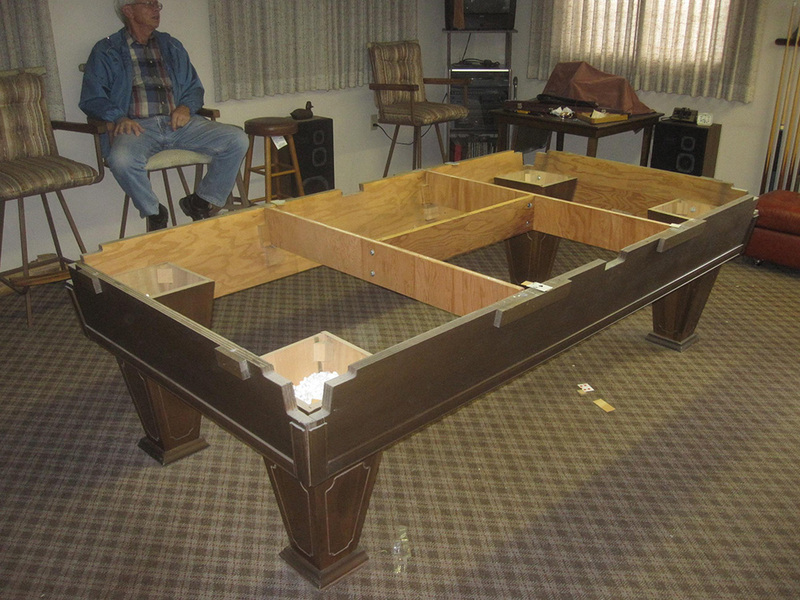 After his Grandfather passed, he wanted to keep the memories close to him so he decided to keep the pool table. When we arrived in Fontana I noticed that a couple of the cushions had started getting hard. 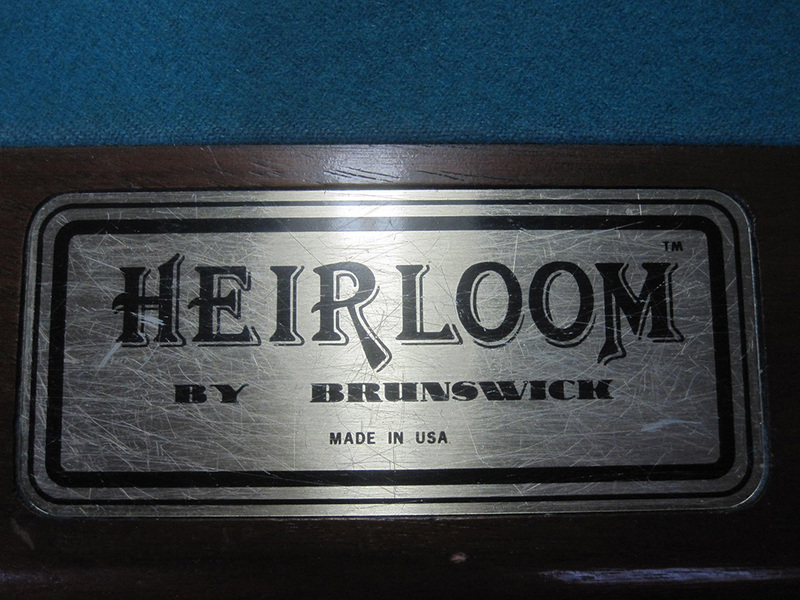 I thought this was a little strange because the Brunswick company had always used the best quality billiard cushions. 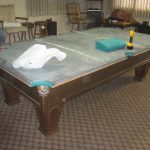 Then I thought, this pool table was manufactured in the mid 80’s, possibly a transitional period in the company’s cushion rubber origin. I called the client and explained the options to him. 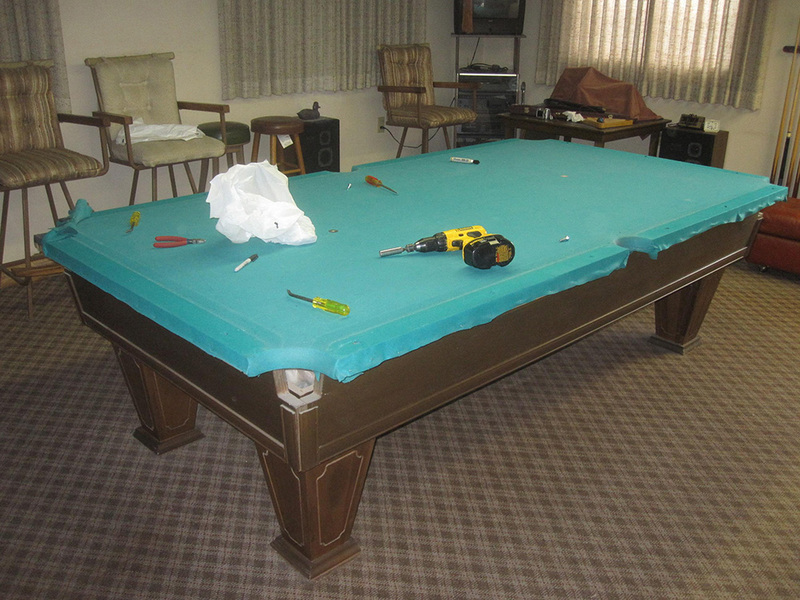 I told him that I thought it would be a good idea to change all the cushion rubber, because usually when two or three rails are “dead” the others will soon follow. He agreed, so we took the rails to the shop. 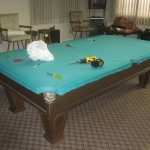 I told him that because the rail cloth was in such good condition (because of always being covered) I thought that I could save it. 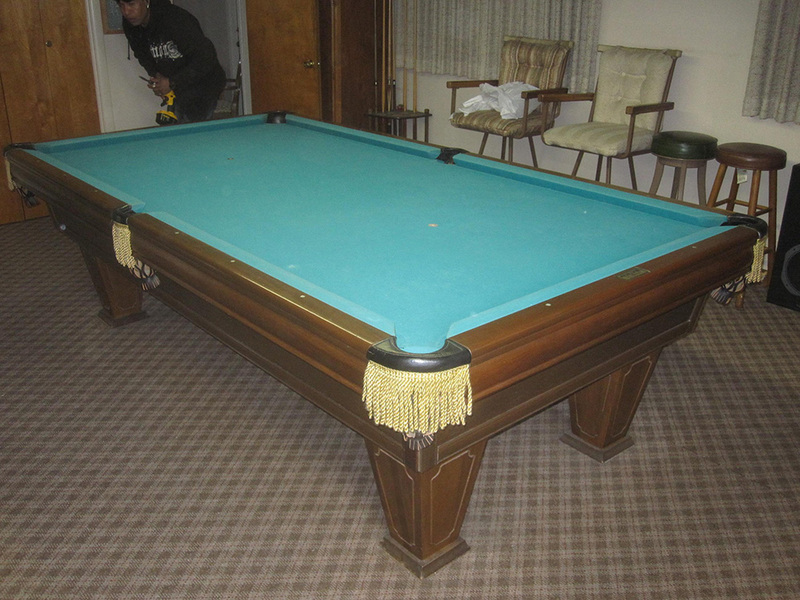 These rails were designed to have K-55 rubber cushions instead of the standard K-66 profile. 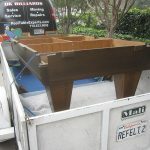 About two weeks later we returned to Rancho Cucamonga to finish up the job. 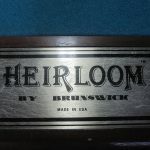 The new cushions were a big improvement to the game.